Went around KL and Selangor today and accompany my mum to do her stuff. It's been some time since I last saw her and gosh I miss her so much. We talked about so many things and I decided to be her personal chauffeur today and drive her here and there. My 'salary' for today's 'work' are clothes my mum bought for me at GM Klang. lol. 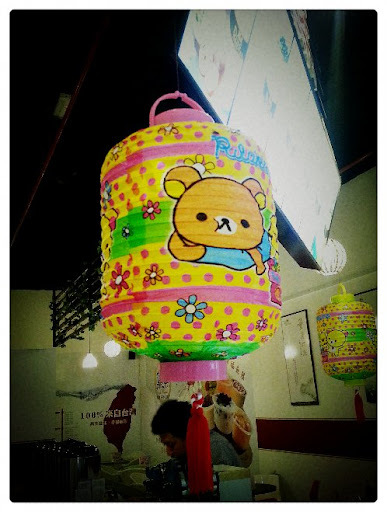 Saw this Rilakkuma lantern hanging in Ding Tea's outlet, even though Mid-Autumn Festival was last week, I still feel that this.is the lantern I want for this year if I were to buy one lolololol. 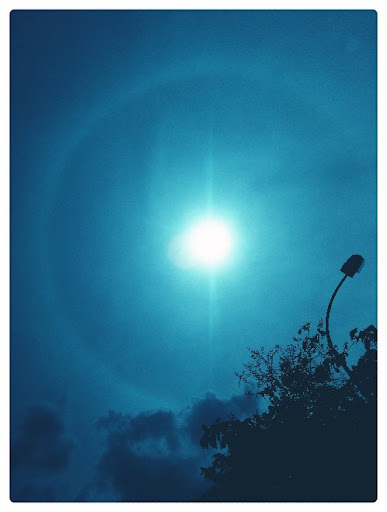 And did anybody notice the ring of light at the outer of today's sun? It really is nothing special actually, I was just trying to take the sun's photo with my S3 camera that's all lololol. But yeah, am fascinated by mother's nature of how small things like this will actually brighten up someone's day and make it a beautiful one. 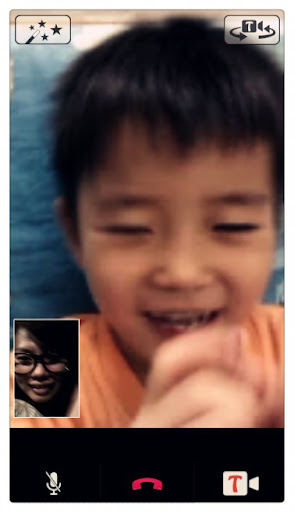 Last but not least, did the first video call using Tango with Xuan today. Just few days didn't see him I miss him so much! See his smile and silly talk makes me feel so happy and even when I'm typing this now, there's smile on my face. lol. Tango is really one good app for people who needs to do video call. Less laggy, funny effects and games available as well.